I love to flip through shiny new cookbooks. I love the crack of an embossed spine upon first opening. Inhaling pages still smelling of freshly-printed ink. Do you love that too? There is a certain thrill that we food-obsessed people get when we pick a book to adopt into our lives. For that’s what we do. Or hope to do. Cookbooks, to my mind, aren’t meant to be passive entities, read through and popped on a shelf. I want a cookbook to become a friend. Or better still, a teacher and a friend. I confess to having a wide and rather messy collection of cookbooks.They spill out of a good-sized bookcase in the spare room, onto the purpose-built shelf above the fridge and, increasingly, under my bed. I blame Amazon and Waterstone’s. But now I am much more selective, often trying to rifle through copies at shops, or borrowing from the library, until I make a decision. But even still, while making my careful selection (I ration myself these days) I am inwardly hoping that my instincts – and not a little research – are true. I don’t buy cookbooks to impress people, to gather dust, to prop up a wobbly table. I want it to be a book that becomes sticky, greasy, covered in flour; with stuck together pages causing me to curse.. I realise there is a vogue for the more coffee table oriented book, the book that is possibly bought just to impress ourselves and others with our immaculate taste and cultured nature. Those books can be incredible, as works of art and as inspirations: chef-designed dishes, using ingredients and equipment (there is always equipment) in vogue and tangential ways. Or the aspirational book, with its dappled meadow picnics and charmingly tumbled down barns. I love those too. But I don’t necessarily want to cook from them. No, when I choose a cookbook these days – a potential friend for life – I want to feel a connection beyond the beauty of its pages. As I run my fingers down its smooth, unsullied pages I wonder if my chosen one is going to live up to the promise of its achingly beautiful cover. At first I go a bit mad and stick those tacky (in more ways that one) coloured notes on many pages, with little notations like (these are real notes): “Have to make this for ****,” “Try this with tofu instead of pork(!!! ).” “Use as a template/Scottish ingredients.” I protect open pages with a tear of clingfilm and write notes in a separate book. Then it becomes a friend. A friend that doesn’t mind the spills, smears and scribbles. That’s when I know that a book has become part of my life. And like a good friend I will swear unswerving loyalty, deferring to it when inspiration is lacking, or just admire the skill and creativity of its creator. Note: I’ve given links to the dreaded Amazon, although I would have liked to name individual but geographically limiting independent shops. Try your independent bookseller first!! Now, what do YOU recommend??? The Modern Pantry Cookbook by Anna Hansen Canadian-born, London-based chef Hansen is my kind of cook, combining “seemingly bizarre” (her words) ingredients to great effect: Goats’ Curd Pancakes with Pomegranate Molasses Roast Grapes; Chocolate Liquorice Delice with Cocoa Chilli Wafers. I have found on a couple of occasions that I have unwittingly come up with similar food combos as Hansen – albeit with a lot less sophistication and skill. Breathtaking audacity and very clear instructions contained within. One for the adventurous and somewhat skilled omnivore cook. Get to know Hansen with this interview in The Telegraph. 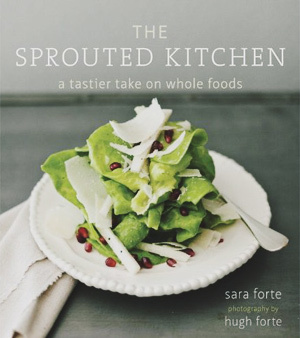 Another creative food combiner is Sara Forte, the “veggie enthusiast” behind The Sprouted Kitchen. I have yet to fully explore this beautifully photographed book (hubby is behind the lens) but I have riffed on her Nori Popcorn and tried a version of her Quinoa Collard Wraps with Miso-Carrot Spread recently. Process pictures, explanatory sidebars and a good Ingredients and Tools section round out the about 100 mainly veggie but a little meaty/fishy recipes. See this review from The Kitchn. Rick Stein’s Far Eastern Odyssey is a big favourite of mine – bold flavours, unfussy instructions – and he gets most of his recipes from the people he met while making his TV programme of the same name. You can practically smell the spices leaping from each page. 150 recipes from all over southeast Asia with conversationally-written anecdotes and stunningly colour saturated photos. Lovely. For the omnivorous cook, although there are loads of vegetarian and vegan dishes. Here’s a link to his website to learn about his other books and TV programmes. I also have Rick Stein’s India, another fabulous and practical book with the same high production values as all of his previous 15 books. We have been to one of his Padstow Cornwall restaurants, and it was fantastic – as expected. Inspiration in spades from the authoritative vegetarian author, chef and gardener, Deborah Madison. I use her book Vegetable Literacynot only for recipe ideas, but also reference. I think it is probably the most comprehensive book about vegetables that I have seen. It is quite a hefty tome so you won’t be reading it in bed of an evening (unless spinach eating has given you arms like Popeye’s), but it is one that I look to for gaining/reinforcing knowledge about all things vegetable, herb and edible flower. Most recipes are beautifully simple: think Egg Salad with Tarragon, Parsley and Chives; Smoky Kale and Potato Cakes; Chard Stems with Sesame-Yogurt Sauce and Black Sesame Seeds. Sprinkled throughout are bits of kitchen wisdom and suggestions for companion ingredients. A real gem. In a similar vein I also adore anything by Alice Waters, most especially The Art of Simple Food 1 & 2.”Perhaps more responsible than anyone for the revolution in the way we eat, cook, and think about food, Alice Waters has ‘single-handedly chang[ed] the American palate’ according to the New York Times. Her simple but inventive dishes focus on a passion for flavor and a reverence for locally produced, seasonal foods.” I couldn’t have said it better my self. Any lover of good, wholesome, simple food needs these books. (quote is from Amazon blurb). Anything from the pen of Diana Henry is good by me. A writer of great elegance and wit, writer and TV presenter Ms Henry has authored cookbooks that read like the most delicious of travelogues. My favourite of her numerous books is the evocatively named Roast Figs Sugar Snow: Winter Food to Warm the Soul, but I truly love all of her captivatingly written books. She has a real flair for Middle Eastern, Mediterranean and North African ingredients – related cuisines that I rate very highly, as a look at my Index will reveal. See especially Crazy Water Pickled Lemon (my copy is thick with notes and scrappy bits of paper). Read this interview at the Good Food Channel. Likewise the charming and uber-talented Israeli-born chef, Yotam Ottolenghi. He has reached a deserved status where one name only – Ottolenghi – suffices. King of all things Middle Eastern, I have and use all three of his books – Ottolenghi The Cookbook, Plenty (his paean to vegetables and nothing but), and my fave, Jerusalem. I reference him a lot in my recipes. And my groaning shelves of exotic spices I blame squarely on him. Must-have cookbooks. All three. His hummus is sublime, btw. Click here for all things Ottolenghi. Not a cookbook, but I have learned so much from and enjoyed reading What To Eat? 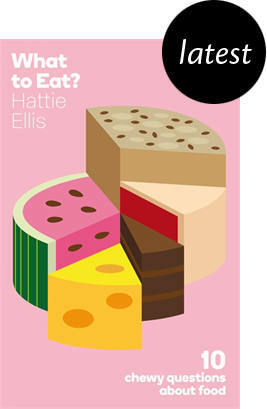 1o Chewy Questions About Food and Drink by award-winning food journalist Hattie Ellis. Fascinating and superbly written. The Ethicurean Cookbook – modern British cooking from the walled garden restaurant in the Mendip Hills. Rave reviews. Big on foraging. The Food of Vietnam by Luke Nguyen – he’s so engaging on the telly, and as he is covering just about my favourite cuisine I am chomping at the bit to get this one. He travelled extensively and sometimes dangerously for this book, and the telly series that went with it. Eat: The Little Book of Fast Food – no book recommendation can skip the offerings of this most down-to earth of cooks. Nigel Slater‘s latest reads like a a collection of slightly too long tweets – 600 dinky little recipes for when we’ve no time and no ideas. Clever, modern, now. Not keen on his shows so much, but I do like his warm writing. River Cottage Veg by Hugh Fearnley Whittingstall – it’s not his latest, but it – and River Cottage Every Day – are favourites with me. Simple, clever recipes for the skilled and not so skilled cooks. Lots of family-geared recipes but for anyone who wants good food quickly. For veggies and omnivores alike. Live part of the dream that is the River Cottage. 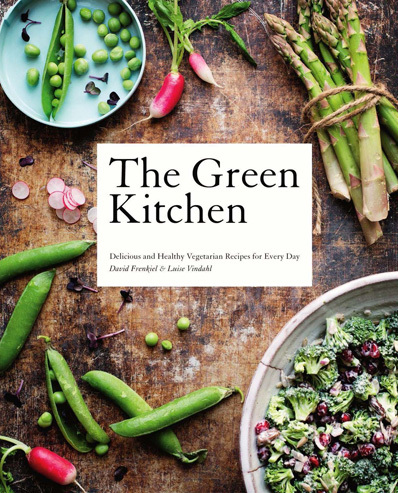 Green Kitchen Stories – lush, lustful Swedish lifestyle blog-made-book. Top quality images and really inventive and thoughtful recipes from the vegetarian wholefoodie couple, David Frenkiel and Luise Vindahl. Awfully photogenic too. Drat. Getting this come hell or high water. 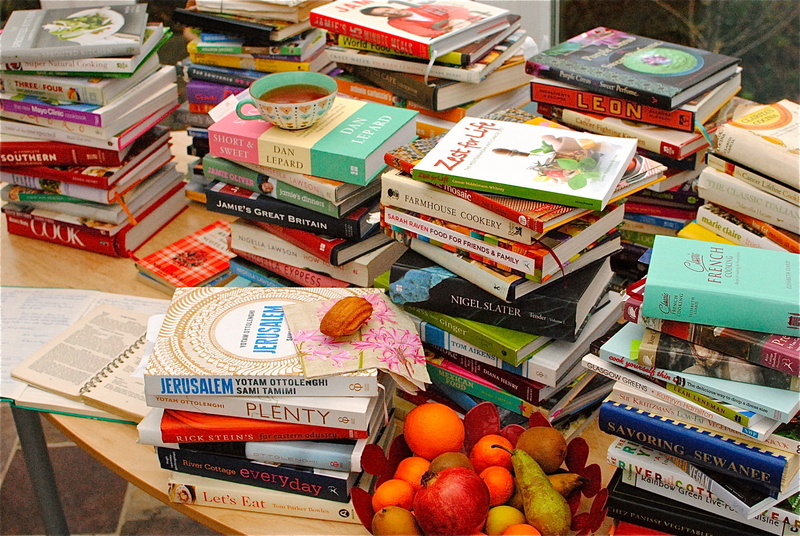 I see we have alot of cookbooks in common (oh dear, what a pile you have!). Madison, Ottolenghi, Sara (not Kate 😉 ) Forte, etc. That picture with the fenugreek sweet potatoes… I need to make that soon! I have lots of sweet potatoes waiting to be used, and I love fenugreek (and my yoga instructor raves about its benefits). Great selection, and happy holidays! Thanks for your eagle eye! And I was staring right at that darn thing too. Another excellent post! I love your blog. 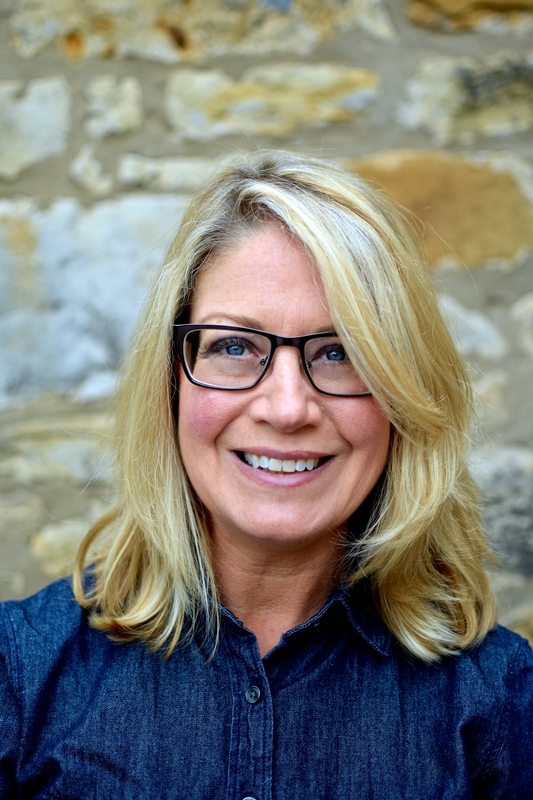 Here’s a cookbook you might not have seen… The Homesick Texan by Lisa Fain. She also has a great blog. I live in Texas and have access to great Tex-Mex, but when I want to make it myself this is where I turn. Delicious! I have heard of her but I don’t know if I have seen her blog. I doubt think her cookbook will be on our British shelves, but I will go have a look see at her cyber space presence. Thanks for stopping by and making a recommendation. Great list – I’ve got new books added to my amazon wishlist! As Always, Julia is an interesting read as well–doesn’t focus only on food but is a compiled list of letters by Julia Child and Avis Devoto. Gives great perspective on just how much has changed in modern cooking! Thanks for the recommendation Veronica! Love cookbooks… they are like my babies! I spy a food really good ones in your pile…. and some unfamiliar ones too! Crazy Water is one of my faves! Great list! Some I have, some I don’t. I’ve been debating adding the Green Kitchen Stories book to my collection. I actually went and saw them speak at Creative Mornings Stockholm and they were adorable. Great choices, we have much in common! 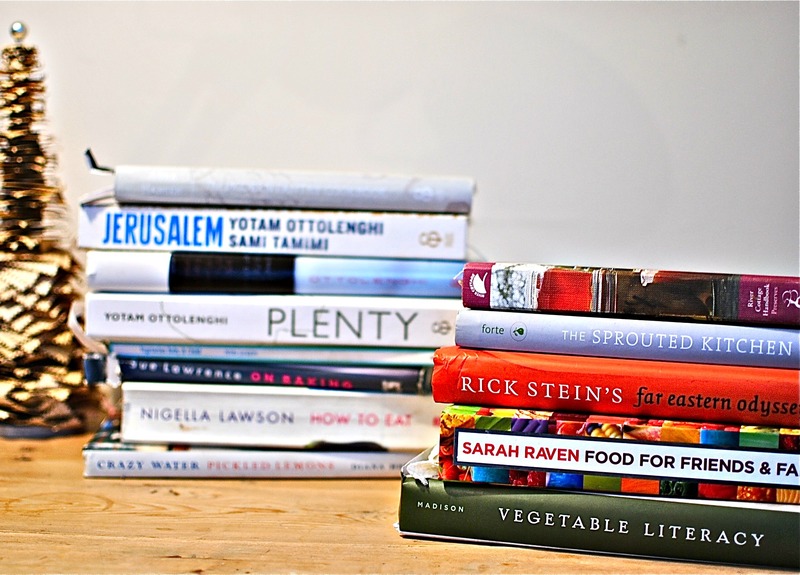 I love many of these and Ottolenghi’s cookbooks are some of my favorites. Along the same lines I’ve been eyeing Louisa Shafia’s The New Persian Kitchen. Also love Heidi’s Super Natural Everyday. I do have both the River Cottage books, and refer to Everyday frequently. 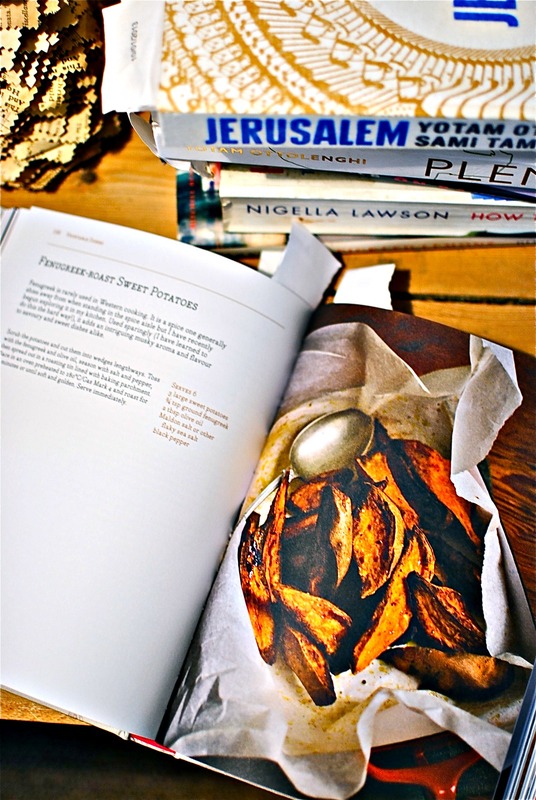 Nigella Lawson’s Domestic Goddess is an old favourite, as is anything, ever, by Nigel Slater. Claudia Rodin’s Arabesque is devine too. And Moro East. And… I’ll shut up now! Lovely post, thank you. WOW what a collection! I would love to have some of those books as well, awesome list! We are doing something similar – donations to charity on behalf of family members, although Miss R will get a few things. Your poor garden. Those slugs (I’m taking it, it is slugs what got your garden) need to give YOU a Christmas present 😀 Wishing you a fab Christmas with your barbies and sunbathing! We are just about to have a 30C day and although that isn’t much on the Aussie heat scale, it’s hot here in Tassie. Have a wonderful day yourself and we get to use some of our garden produce on the Christmas table which makes it all worthwhile :). The slugs are almost all belly up now thanks to the magic of slug and snail pellets. I had to implement a course of mass genocide in order to get some form of vegetation out of the garden but whatchagonnadoeh? ;). A bit unlucky that your chooks don’t have a taste for slugs. I have found that the hens don’t need to eat slugs. Their very presence scares the nasty beasties out of the garden. True! We have a book store close by called “Books a Million” that you can take in your books to give as credit in the store to “purchase” books. It is amazing the deals we find there on all sorts of books, including of course cookbooks. We have really found some treasures there for us, and for gifts. Love to “read” cookbooks! LOL! I know books a million (what an odd name) but I didn’t know about their credit system – great way to recycle! I have a huge collection of cook books but very few on your list. Must get more by Diana Henry. Have all Ottolenghi’s and love Hugh’ s veg. So many to explore there. I know exactly what you mean about ‘old friends’ and cook books. I have one that I always reach for to provide a good, trustworthy recipe and that’s a 1992 Marie Claire cook book written by Nigel Slater. Its good honest straightforward, food, love it …but if I had a Food To Glow one….. I think I know the one you mean. Those are heavy books too, so we can get a work out 😀 Re a book: watch this space…? it looks as if both you and I tear off the jacket covers. sometimes I stack my books so that when I read the titles it makes a sentence. Ah, I TRY to keep them on, but as they get jammed up against other books the jackets always tear and look a bit sorry for themselves. I should treat my friends a little better! Like your organisational tip! I have a set of recipe cards that was covered in flour, oil, juices and I am pretty sure if I put it under a microscope I will see meat scraps.. Loving everything about my go-to recipes. 🙂 I have to hit the bookstores soon to find the books you recommend! How lovely to have and use recipe cards. I don’t have any that I have written up but I managed to save some of my mother’s after she passed away. I love to look at her exquisite, perfect cursive handwriting. I used to get so frustrated that it took FOREVER for her to write a check, but now I appreciate the lure of the handwritten recipe card, especially family ones. Covered in food is even better.